As promised here I am back with a mass of completed hobby season goodness. This work has all been completed so close together that I feel rather hobbied out! So this takes me to a ready to go position for our next Cypra Incident game "Running the Gorklet". So no apologies this is going to be picture heavy and I feel very proud of the work I have achieved on this army this year. This campaign has really helped me motivated me to get a new army on the table. Anyway self congratulating back slapping out the way what have you painted Doc? First off just wanted to show a couple of work in progress shots to give you all an idea of the pre shading I completed on the tanks using the airbrush. I love this technique and the time it saves. 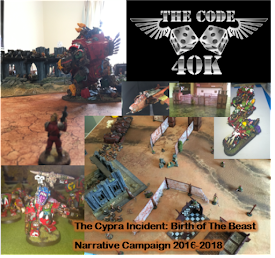 Doc back with his latest work towards our narrative campaign "The Cypra Incident: Birth of the Beast". With rule of cool well and truly in effect and the idea behind this mission meaning I need an armoured column this has left me with a lot of painting to do. Knowing this work was coming meant I slipped all these projects on to my Confessions of a 40K addict hobby season list. So what do you need to paint then Doc? Eek crap that's a lot! 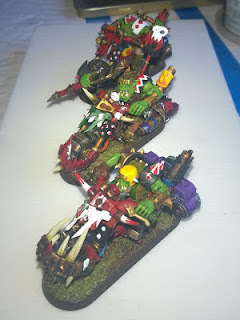 Bluddtoof here with a quick update on my newly finished Ork reinforcements for our narrative campaign; "Birth of The Beast, The Cypra Incident". Our next mission is number 3; "Running the Gorklet" where Doc is going to be driving a convoy of light Guard vehicles down the length of 3 6' boards past lots of Ork sentry positions and with the potential for pursuers catching him if he goes too slow! His force will comprise all the survivors from mission 2 and a further 1000 pts of mechanised guard. I'll be fielding 500 pts on each board, on the first board are sleepy sentries just waking to the alarms from camp, for this I needed a new boss and a rokkit toting boy. Table 2 will be fast stuff reacting quickly to the threat and I'll need some Koptas for that. Board 3 will have much slower and heavier stuff all of which I already have painted. The really good thing about this campaign is that it's proved to be an excellent source of motivation to both of us to get us painting stuff; Doc's army is entirely new or re-painting of old stuff and for me I'm painting models that have sat built and waiting on shelves and in boxes, for years in some cases! We both committed to having new stuff for every mission. 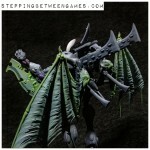 For me the big push will be to complete the Dread Mob I've been threatening for years! Looking forward to the mission, stay tuned for updates on prep from Doc and a bat rep of mission 3. 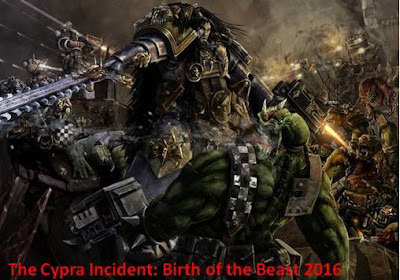 Bluddtoof here with an update on our narrative campaign; The Cypra Incident, which sees Docs Astra Militarum force; The 19th Dicers defending their world from my Ork invasion by Waaaggh! Bluddtoof. The story started with Imperial forces on "The Forgotten Hole", a gloomy deathworld covered by murky swamps and thick forested highlands and the home world of The 19th Dicers, detecting strange energy readings deep in the swamps outside normal patrol range. A patrol was sent to investigate and found a small band of Orks using arcane technology to teleport rusted imperial wrecks out of the swamp! The following engagement was short and brutal with the Orks managing to hold off the Dicers long enough to teleport sufficient wrecks away. Following this the Imperials stepped up their patrols and scanning of the swampy hinterlands; revealing some very powerful energy surges in an out of the way valley, they put together a recon force and deployed to the area, the fast, light mechanised force infiltrated what is clearly a rapidly growing Ork territory and a small recon group went in on foot into the edges of an Ork camp, there they snuck about under the noses of Ork sentries too busy watching a bike race and gathered several pieces of crucial intel on the Orks activities here. With this intel secured they snuck back into the swamp but were spotted at the last moment! The alarms sound and the Orks mobilise for pursuit! 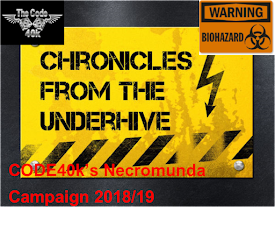 Our approach to this whole campaign is one of "rule of cool", we had a long chat about how we thought the story should progress after the events so far and decided that we needed to add another bit in before we moved to the next tier in the campaign tree. After all the Orks are in close pursuit, there's no guarantee the Dicers will get back to base at all so no guarantee the Space Wolves will be called. So we decided that the next mission should tell the story of the Dicers recon force escaping Ork territory with the intel, or not! Our next mission will be "Running the Gorklet!" and will see the recon force all mounted in light vehicles running a gauntlet of Ork defensive positions and pursuers as they flee down the valley back to Imperial territory. This post explains our second game in the Cypra Incident and involves the 19th Dicers sneaking into an ork held compound. 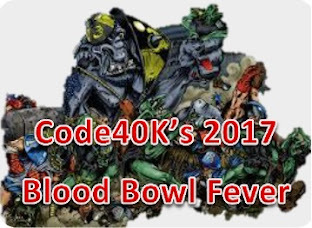 If you are new to our 40k narrative campaign can I recommend for understanding you check back on through the following links. 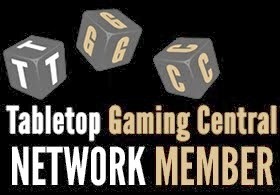 I suggest first checking out this post which links back to all the early content for the Cypra Incident. This first and second game required some unique terrain and Boss Bludtoof put together some fantastic stuff check it out here. The next link is the video battle report for mission 1 'Scavengers'. This was our first attempt at a video battle report. It is clear filming on a I-pad and this being our first go at it means it isn't the greatest quality. However, its not too long and gives us a great history to look back on for this campaign. Check it out here if you want some history. Right confession first this post has taken a long time to be put together. We attempted to film a second battle report for this mission and the footage had terrible sound issues. So i have abandoned showing you any footage and decided a write up will have to suffice. We may return to video later in the campaign. The imperial recon force consisted of 10 veterans and 7 ratling snipers. There were 3 points on the battlefield which needed reaching to steal all the data. In order to play the mission and work out how the imperials could sneak about we decided to use the same method as the old Necromunda rules for the ork sentries. That is each sentry turn we both rolled a dice for each ork sentry with the winner being able to move the ork sentry the distance on the dice. If the orks got to within initiative range the alarm would be raised and various ork forces could move onto to the table on the next turn. If any weapon fire took place the alarm would also be raised and if an ork survived close combat the alarm would be raised. Early on the alarm was nearly raised in turn two and then at the critical point the orks turned the wrong way. We thoroughly expected the alarm to go off but in the end I managed after a high number of turns to sneak in and out with the information. This proved quite a shock to us both but we decided to go with it. It was also a strange outcome when we had painted new troops for the reserves and then never used them. However, we both felt it fit the narrative well and led nicely on to a next mission of the 19th Dicers trying to escape through ork territory with the information they had stolen. We decided to aptly name the next mission "Running the Gorklet" and discussed the forces that would be involved. 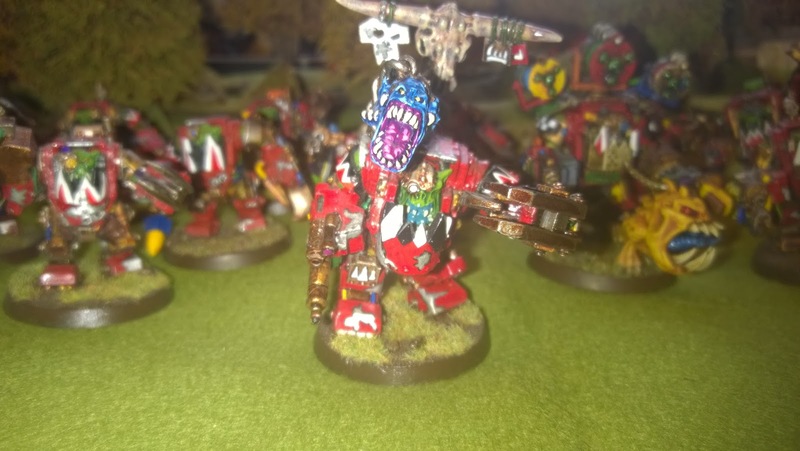 I will not steal the thunder of the next mission write up but it meant we both had to build and paint some more guard and orks which has been the aim of the campaign all the way through. 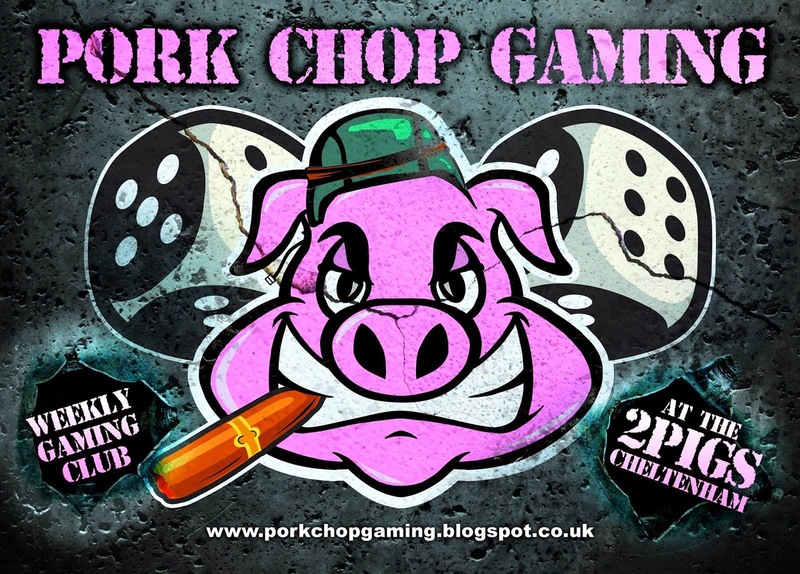 Hope you enjoyed this short write up and apologies for no video :-(. Expect to see some more arming for the cypra incident posts as we get ready for mission 3.